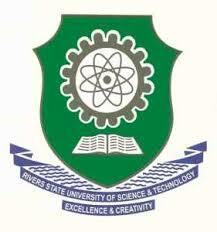 The Rivers State University of Science and Technology [RSUST] Matriculation Ceremony Date for Freshers/Newly Admitted Students for 2017/2018 Academic Session Out. The Authorities of the Rivers State University hereby invites the general public and the entire University Community to their Matriculation Ceremony for freshers/newly admitted students for the 2017/2018 academic session. Venue: Rivers State University Convocation Arena. NOTE: All Newly admitted students are to attend the Matriculation is it is a per-requisite for all students newly admitted into the institution. All Guest must be seated before the arrival of the Vice Chancellor and commencement of the Matriculation Ceremony.